With all of the rain that Cleveland has been having this summer, sunshine and warm weather is something to be cherished. 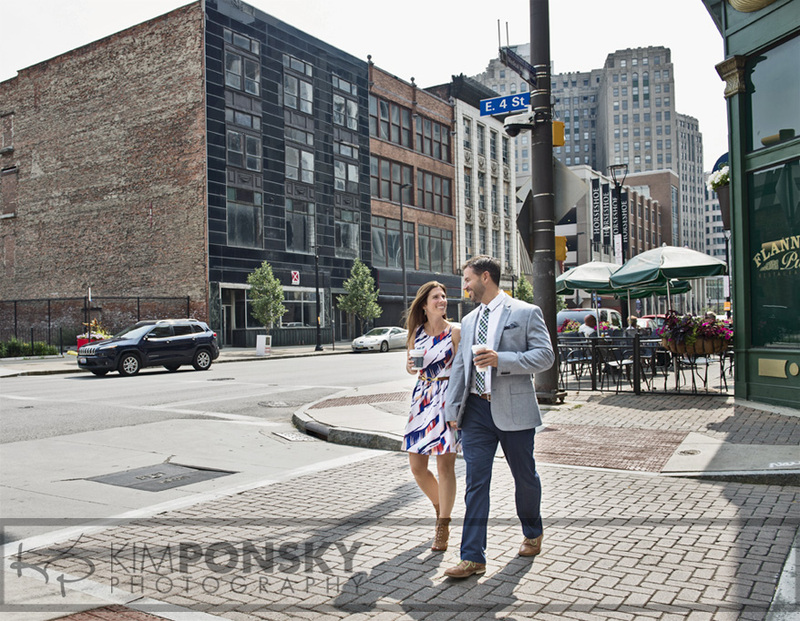 This past weekend I could not have asked for a better day for Stacy and Adrian’s engagement photo shoot in the heart of downtown Cleveland. 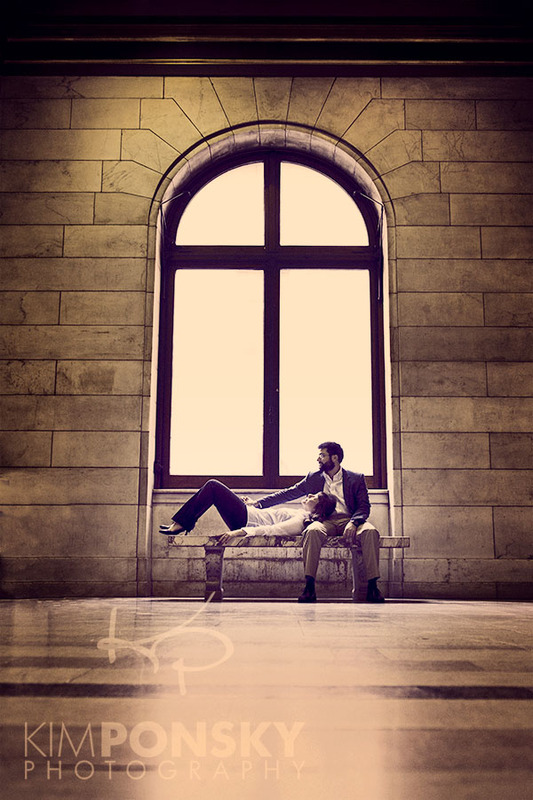 Typically before each photo session, I will pre-visualize a variety of poses and places that I can take my subjects, however with these two it was a bit different. 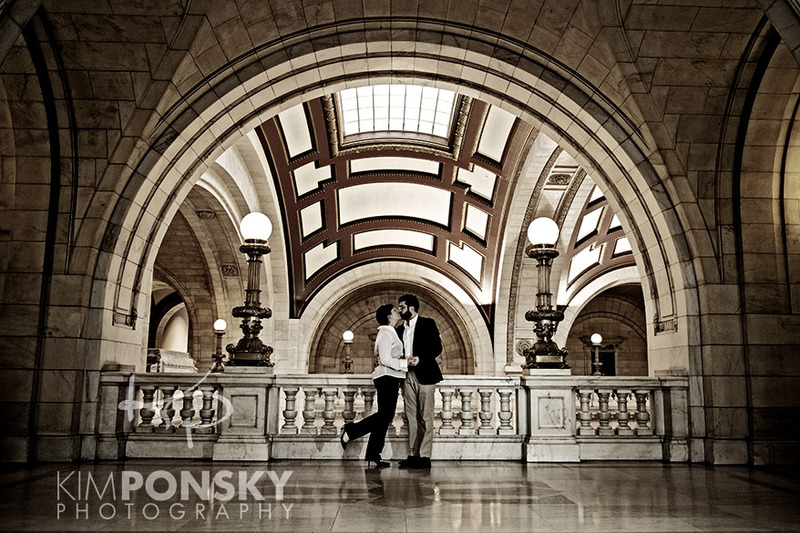 Taking a more candid approach, capturing the love and interactions between these two was effortless. 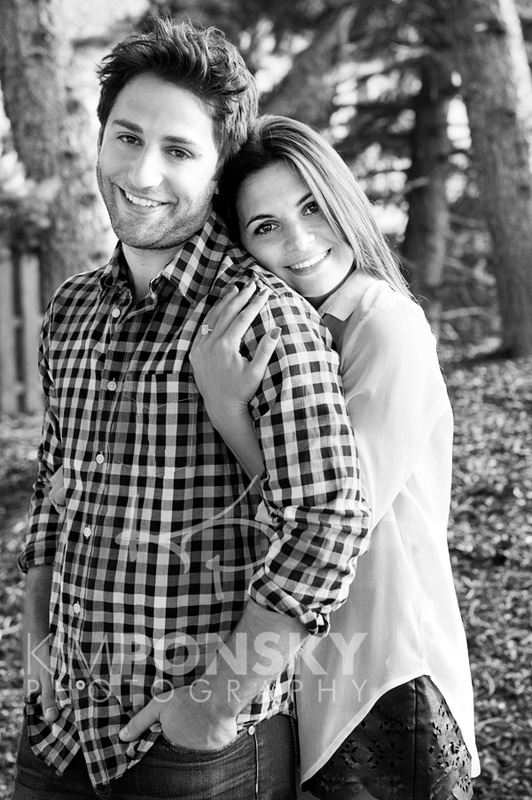 I cannot wait to continue the fun at their upcoming wedding! 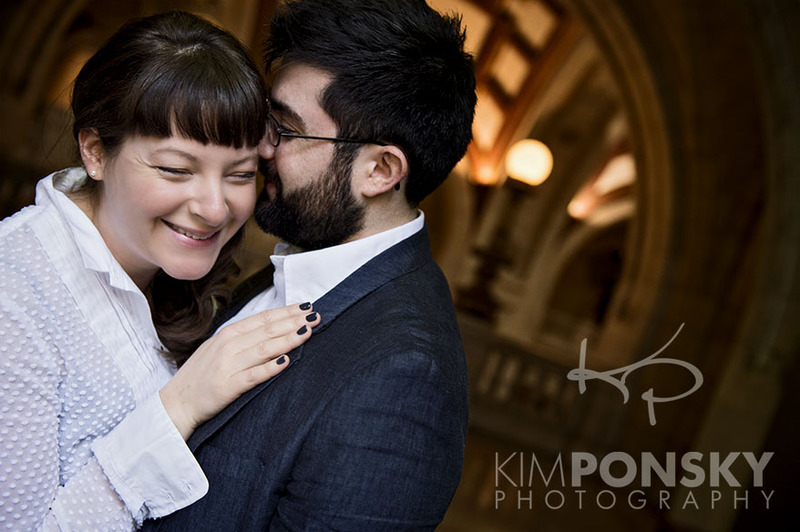 Stay tuned for more photos of Adrian and Stacy. For their outdoor engagement photos, Brandon, Amber and I picked a pretty country road, and simply drove along it until we found a good spot, pulled over, snapped some pics, and continued along on our photo safari. 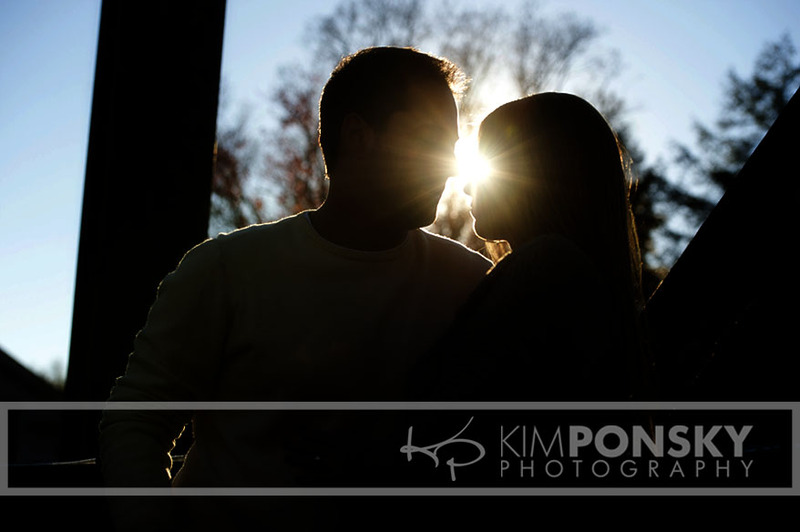 With the beautiful fall backdrop, and a relaxed attitude, we were able to get a variety of stunning photos. 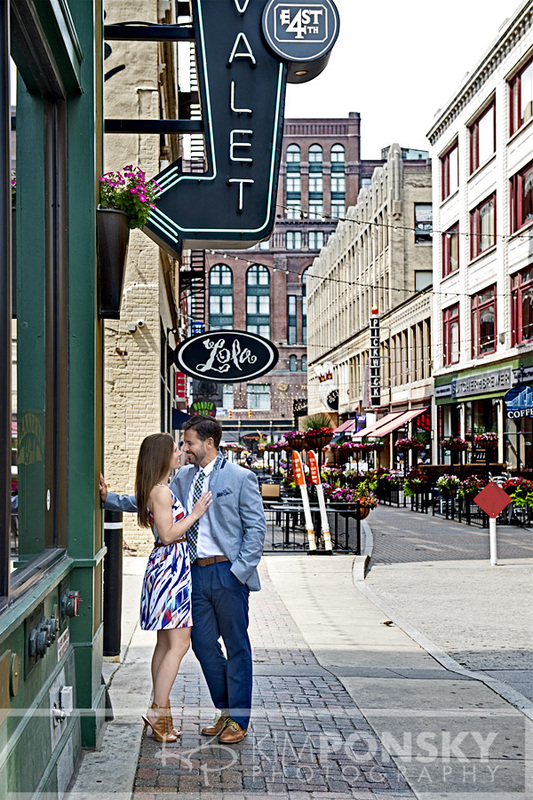 These photos will compliment their future wedding photos, by displaying their relationship and dynamic in a more casual, day-to-day setting. I’m pretty sure even the reluctant Brandon had a good time during this photo shoot, while the stunning Amber lit up the camera with those piercing eyes. I cannot wait to see what shots we get next fall at their Aspen wedding! Dustin and Noelle live in Brooklyn, so my trip to NYC for their engagement photos gave us the chance to do more than simply take a photo for their save-the-dates… it allowed us to explore the city, and capture the places they go, and chronicle this time in their life… We hit Time’s Square at 1am, China Town for a Dim Sum brunch, and walked around many of their favorite parts of the city. We even got some great shots of them at home with their cat. I love working in new places, where preconceived ideas of how I’ve used a location in the past don’t play a part. 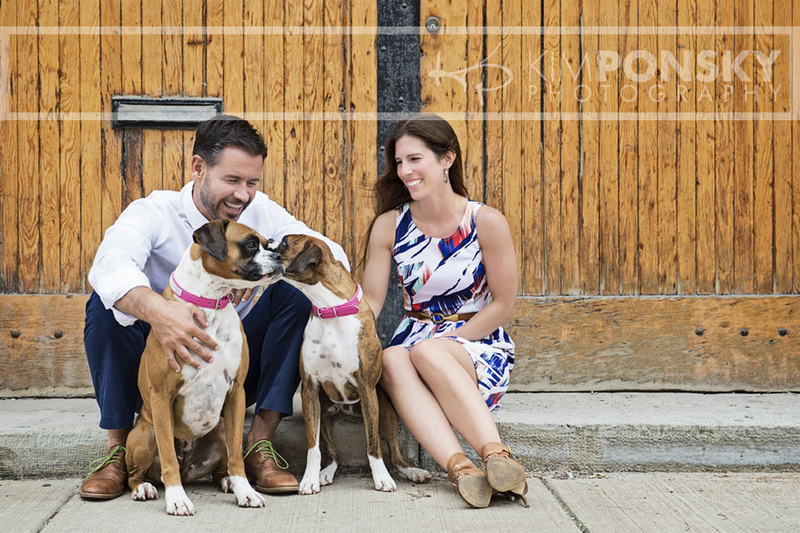 Their easy-going personalities, and willingness to pretty much go where ever I asked (mostly…) made it such a fun weekend, and gave us great photos of their life together. Check out this slideshow of their photos! As a photographer in the digital age, when phones capture high-resolution images with incredible quality, it has become a large part of our job to take our images beyond what the camera captures. The finishing of an image allows it to tell the story, invoke the emotion, and portray the feeling we as the artists want the viewer to perceive. While Instagram has quick filters to snazz-up your snapshots, it is the intricacies and attention to detail that sets a professional’s images apart. 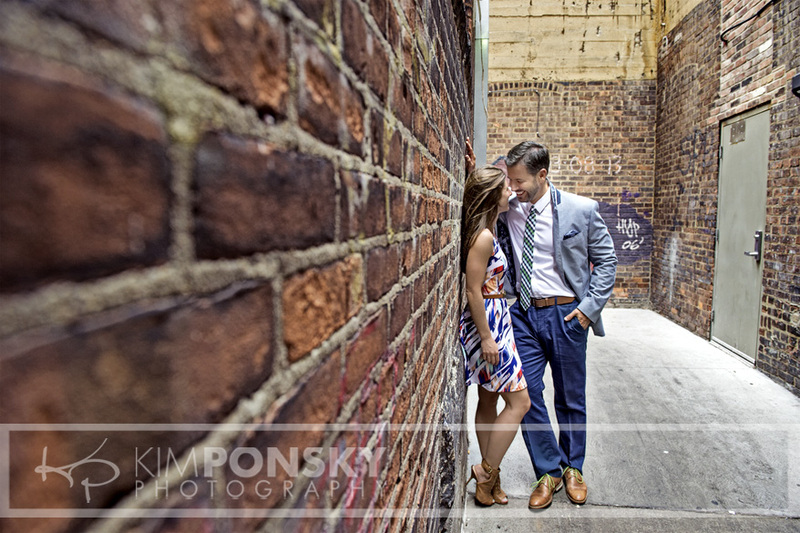 Here are a few of my favorite images from Olivia and Daniel’s engagement photo session. 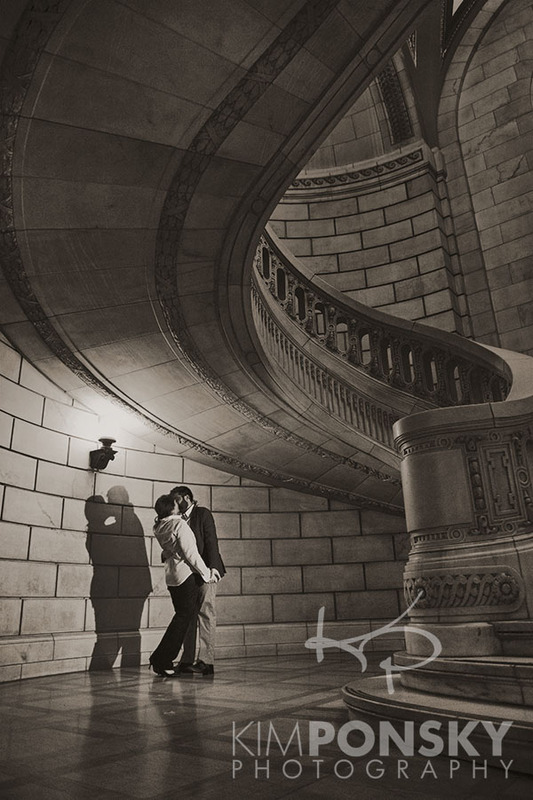 Captured at the Old Courthouse in downtown Cleveland, the old-world feel of the architecture led me to finish many of these with a distressed, antiqued, or muted tone. However, the adorable picture of the couple laughing while in each other’s arms needed the lively colors and saturation that allows the vibrance of their interaction to show through. So when you order your images from us… take a chance, and let us finish the images how we see fit– you may be surprised at just how stunning you are!